The Martha Stewart Living Modern 3 in. Bedford Nickel Sculpted Pull is easy to install with a rear-mount design and included fastener. The Bedford nickel finish is accented by the angled shape, strong curve and chic appearance of this pull. This pull has a 3 in. center-to-center measurement. Bring a contemporary look to your kitchen or bathroom cabinetry with the Liberty 3 in. Arched Pull. This elegant piece of hardware is constructed from high-quality zinc die-cast base material built to withstand the toughest environments. The satin nickel finish along with the clean lines and sleek curves gives this pull that designer look. The Liberty 3 in. Arched Pull features 3 in. center - to - center rear mounting. Add a sense of modern design to your kitchen or bathroom cabinetry with the Liberty 3 in./96 mm Dual Mount Linekin Pull. With its simple design and premium Vintage Nickel finish, this pull is sure to provide the perfect decorative accent to any decor. The high-quality construction of the pull enables this piece of hardware to be enjoyed for years. The Liberty Dual Mount Linekin Pull features 3 in. or 96 mm center-to-center rear mounting. Add the perfect decorative accent to your traditional styled kitchen or bathroom cabinetry with the Liberty 3 in./96 mm Dual Mount Vista Pull. With its classic design and elegant Satin Nickel finish, this pull is sure to be enjoyed for years. The Liberty Vista Pull features 3 in. or 96 mm center-to-center rear mounting. 3 in. Sculpted Pull The Martha Stewart Living Modern 3 in. 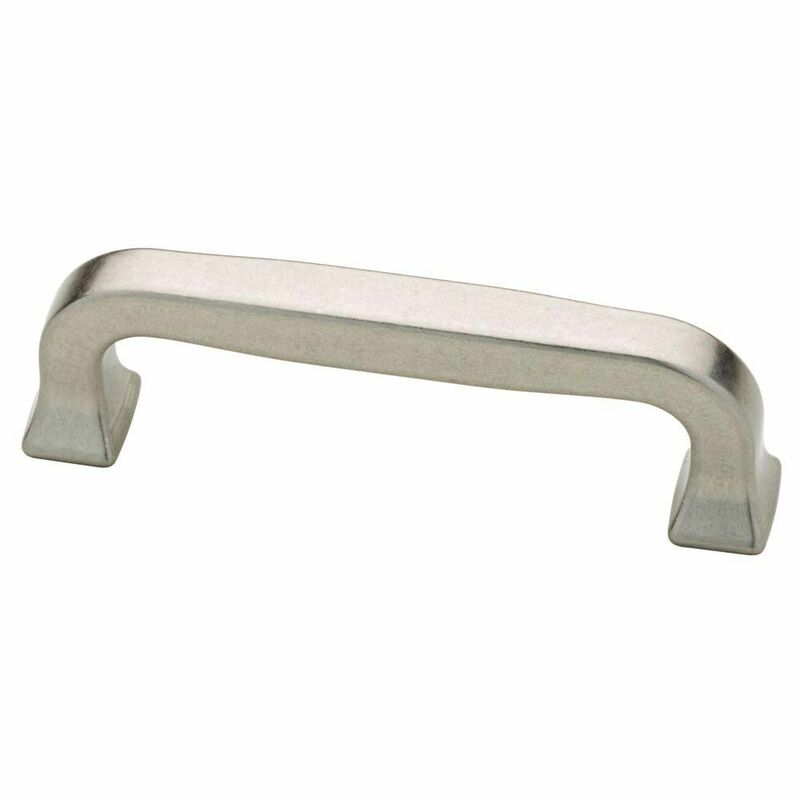 Bedford Nickel Sculpted Pull is easy to install with a rear-mount design and included fastener. The Bedford nickel finish is accented by the angled shape, strong curve and chic appearance of this pull. This pull has a 3 in. center-to-center measurement. 3 in. Sculpted Pull is rated 4.8 out of 5 by 5. Rated 5 out of 5 by jwim84 from Great product for a great price. I bought this cabinet hardware to match some existing that I had. It shipped very quickly and is a great product for the price. Rated 5 out of 5 by Bandman66 from Quality product that makes my cabinets look great! This is a well made product. It is solid and well finished. It completes the look I wanted for my new cabinets. Rated 5 out of 5 by Sheried from Bedford Nickel Pulls We revamped our old cabinets, still in good shape, but needed a little care. These pulls are awesome. Updated the look with these and new hinges for under $200! They're rustic, but modern. Love them.